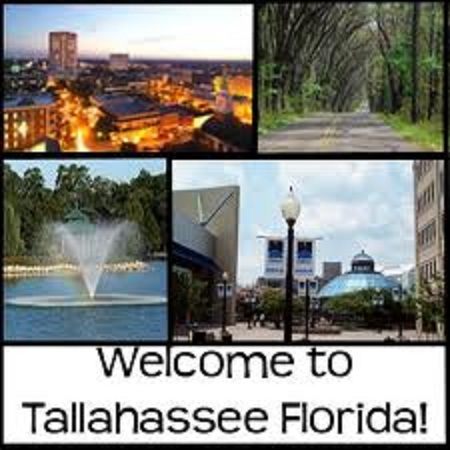 Sunny, humid Tallahassee is a center of trade in Florida. It’s come quite a long way since General Andrew Jackson fought skirmishes there during the First Seminole War. Today, it’s home to several colleges (Go Seminoles!) and the Tallahassee area offers numerous resources for families with special needs kids. You can also take advantage of statewide resources, like the Exceptional Education & Student Services agency of the Florida Department of Education. In Florida, special education is called exceptional student education (ESE), and special needs kids are referred to as exceptional students. However, the same regulations of the Individuals with Disabilities Education Act (IDEA) still apply, and special needs kids will still have an Individualized Education Plan (IEP). The Bureau of Exceptional Education & Student Services offers a helpful website with a breakdown by disability, including language impairments, speech impairments, autism, and hearing loss. As well, be sure to download the guide to ESE in Florida. CARD is part of the Florida State University Autism Institute, located in Tallahassee. It is a state-funded agency that provides free services such as training programs for families and professionals. CARD refers to its services as “direct assistance.” Direct assistance may involve phone or in-person consultations, school visits, and connections to local resources. To get involved in the program, you must fill out a referral packet. Download the forms from their website or request a packet at (800) 769-7926. FND is based in Pinellas County, but it provides statewide services. Its mission is to provide families and individuals (those at-risk included) with resources, support, and education. It is also an advocacy organization. It offers too many programs to list here, so check out their website for a full list. Examples include Parent to Parent, which connects parents to mentor parents, and a scholarship program. FDLRS provides local and statewide services to both school districts and families. It offers diagnostic services and training programs. The goal of FDLRS is to provide parents with the support they need to be effective advocates for their special needs kids. They are especially keen on parent-school collaboration. Use the locator tools on their website to find resources near Tallahassee. The Florida Autism Center has a few locations around Florida, including one in Tallahassee on Capitol Circle NE. The location in Tallahassee appears to be the one that offers the most new programs. They have 18 full-time staff members that offer programs focused on early intervention, one-on-one sessions, and after school programs. Unlike the state early intervention program, this one accepts children ages 6 and under. It’s intended to help kids get ready for kindergarten. The Florida Autism Center also offers a small, private school program for special needs kids who need more intense intervention. ← Can a Robot Help Autistic Children Learn to Speak?